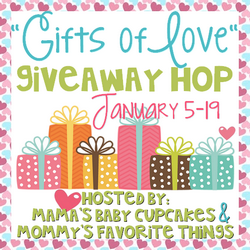 Welcome to the "Gifts of Love" Giveaway Hop hosted by Heather from Mommy's Favorite Things and Michelle from Mama's Baby Cupcakes This hop has a Valentine's Theme, which means anything family friendly is up for grabs that you would give to someone for Valentine's Day! Each blog has a minimum prize package of $25 per winner and after visiting my giveaway, make sure you use the linky below to take a look at the other blogs to see what they have to offer for you! For my giveaway, one lucky reader will win a $50 giftcard to Thirty-One Gifts! They have the absolute cutest accessories, totes, wallets, and more! Want something personalized? This is the perfect place to get that! I am in love with their bags and looking forward to ordering more! Rules are simple, simply fill out the form below! Open to US Residents only (sorry) and must be 18+ or have parent's permission to enter. This giveaway will run until Jan 19th and winner will be announced on my twitter page. Good luck to everyone! DISCLOSURE: Mama's Baby Cupcakes, Mommy's Favorite Things and the "Gifts of Love" participating bloggers are not responsible for sponsors who do not fulfill prize obligations. I'd keep it and probably buy something pretty for organizing! I would selfishly keep this one for myself!!! I would keep it for sure!!! I would use it to buy my friend a Diaper bag. I would use it myself for some Oh Snap bins! I want to get more organized in 2015! I would keep this to get an organizing tote for our homeschool! Thank you. I would keep it to purchase household needs. I would give it to my mom. She does so much for me she deserves it. I would keep this gift card for myself because I need a lunch bag!! I would keep the gift card and use it on myself or my daughter. I would use this myself to buy some future birthday and Christmas gifts most likely. I would be keeping for myself. Mama, needs a new bag! I would keep the gift card fro myself because I have always wanted an utility tote from Thirty-One Gifts. 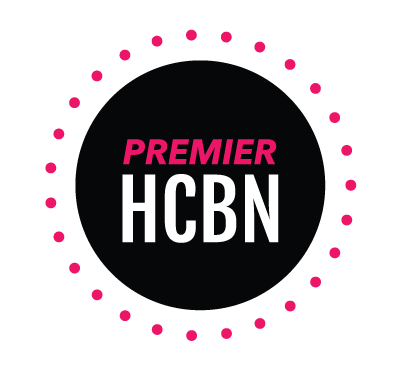 I love their products and especially the totes. I would keep it for myself! Would love to try one of their products. I would give this to my mom. She loves Thirty-One products. I would keep this for myself. They have nice products. I would keep it, but i'd also buy multiple items for myself and friends! I would love to keep this card! I would let my family pick out something with gift card. I would keep it. I want one of the big bags! I would gift it to my son's teacher since she does so much for him! I would keep it and buy something for a friend with it. I would keep it for myself because I never get to spend any money on myself. I'm not sure. I may give it to my sister! I would be selfish with this and keep it for myself! Era Ligjht (Melissa George): I will keep it for sure! HI! I would keep it for myself because I moved into a new apartment and am in the process of organizing and decorating. Thank-you for the generous chance!! I would keep it for myself because I really do need some new items to help get organized! I would keep it. I havent tried anything from Thirty-One and I have been dying to. Sad to say, I'd keep it for myself! God bless! I think I would use it for something I could use! I would give it to my niece who really wants a new teachers bag. I would keep it for myself. I've been wanting one of their totes. I would keep it and use it for work. I would keep it so I could buy a few gifts for my friends! I would KEEP it! I am addicted to Thirty-One and have almost everything they offer in the Black Parisian Pop print, as well as several others. All my groceries get carried in Thirty-One totes! My sister loves Victoria secret so I would give it to her thanks for the chance to win. I would keep it because I don't really buy anything for myself. I would keep the gift card but I might use it to buy something for someone else. I would give it to my sister for her birthday. I'd love to get my mom a birthday gift with the gift card! I'd keep it for myself. I need a new bag, I haven't bought one in like 2 years. I would keep this great giftcard for myself. I would keep it top help me otganize my home and auto. I'd keep it for myself. I haven't bought anything in a long time from there. I'd either keep it or give it to my sis. She's got kids and always needs a good bag with all the stuff she needs to carry around. Thanks for the chance! I'd keep the giftcard! --Christina M.
I would keep the giftcard. If I win the $50 giftcard to Thirty-One Gifts I will keep it for myself ! I would share it with a friend! We all love thirty one products especially the bags! I would keep it! I friend just recently introduced me to these bags and I would love to get one for myself. I would plan to keep the gift card for myself. I love thirty one gifts products. I commented on 1/4 post as Christy DuBois.